From delivering hundreds of workshops to over 4,000 faculty each year to hosting phenomenal events, our staff works with our members, every day, to connect, collaborate and share online learning best practices. Kathleen S. Ives, D.M. has worked in online technology for over 30 years and is currently the Online Learning Consortium's Chief Executive Officer and Executive Director where she oversees the organization's strategic direction. Additionally, she serves on the EdSurge Advisory Group, the Executive Strategic Council for IMS Global Learning Consortium and on the Leadership Advisory Board for the Center for Learning Innovations & Customized Knowledge Solutions (CLICKS). 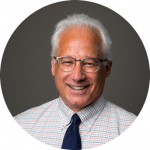 Formerly, Dr. Ives oversaw all forms of alternative instruction at Quinsigamond Community College in Worcester, MA (distance learning, accelerated programming). She serves as adjunct faculty for graduate and undergraduate business programs at Wentworth Institute of Technology in Boston. Dr. Ives began her career at CBS and helped to develop the service that evolved into Prodigy. She then spent fourteen years designing and implementing consumer online information services, first at AT&T and then at Verizon where she spearheaded the development of the nation's first online Yellow Pages product, now called superpages.com. Dr. Ives has degrees in communication, communication management, and organizational leadership from the University of California at Davis, the University of Southern California, Annenberg School of Communication, and the University of Phoenix-Online, respectively. When not steeped in digital and online learning, she serves as a volunteer at both Greater New England Dog Rescue performing site visits for ‘forever homes’ and Great Lakes Caring Home Health and Hospice assisting in patient transition care. 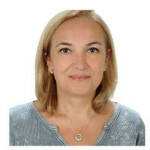 Roberta Vigliani is the newest team member of Online Learning Consortium as the Chief Financial Officer. She comes to us with 16 years of educational learning experience from Pearson Education as a Finance Director in Higher Education. She worked closely with the CFO to guarantee financial and operational requirements which were communicated and addressed by the Business groups she was responsible for. Roberta has managed cross-functional teams within Pearson including the President of Longman and the executive team leaders in Editorial, Marketing, Production and Media, who were located in both Boston and New York City. Working in the Pearson Tutor Center assisting the integration and utilization of a large international tutoring firm into the North America service was an example of her contribution to academia. She also has financial experience from her years at MITRE Corporation. Roberta holds a BS in General Management from University of Massachusetts and an MBA in Finance from Southern New Hampshire University. Jennifer provides leadership in researching and planning strategic initiatives, special projects and partnerships that align with OLC's mission, vision and goals. Dr. Mathes has nearly 20 years of experience in both public and private for-profit higher education where she has supported online learning initiatives since she taught her first online course in 1997. She has been instrumental in working with start-up online initiatives as well as leading growth in institutions with an existing online program. 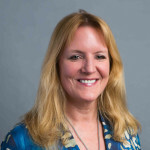 She holds a Doctor of Philosophy degree in Education from the University of Illinois at Urbana-Champaign where she wrote her dissertation on “Predictors for Student Success in Online Education.” She also has earned a Master of Science degree in Business Education and a Bachelor of Science degree in Mass Communications from Illinois State University. 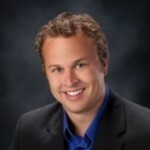 Devon A. Cancilla is the Chief Knowledge Officer for OLC. Prior, he was Vice Provost for Academic Innovation at UMKC. Prior to his role at UMKC, Devon served as Dean and then Associate Provost for Learning at American Sentinel University, a fully online institution. Devon was also an Associate Professor of Environmental Science and Director of Scientific Technical Services (SciTech) at Western Washington University (WWU) where he led the development of the Integrated Laboratory Network (ILN), an online laboratory initiative funded by the National Science Foundation. Devon has received both the Sloan-C (now OLC) Outstanding Achievement Award for Online Education and an Effective Practice Award for his research into the development and use of online laboratories. He attended the University of Iowa, where he earned his bachelor’s and master’s degrees, and UCLA, where he received his doctorate in Environmental Health Science. Devon’s current research interests relate to the use of analytics in the design and development of online courses. Christine Hinkley has worked in sales and marketing for over 25 years. She currently serves as the Online Learning Consortium's Director, Conferences. 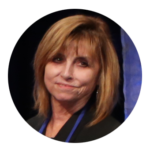 In this capacity, Christine, in conjuction with the Associate Director, Conferences and the Conference Support Manager, provides direction and leadership toward the planning and implementation of OLC's three annual conferences. Formerly, Christine assisted with OLC's conferences as part of her duties as Business Development Manager at The University of Central Florida's Division of Continuing Education. Christine's sales, marketing and business development skills were honed through the years in the transportation and medical fields, where she served in various sales and product management roles for Roche Molecular Diagnostics, Baxter Scientific Products, REMEL Microbiology, and CF AirFreight. Christine is a graduate of the University of Iowa with a B.B.A. Business Administration - Marketing. Deb Burns has over 25 years’ experience leading business strategy, marketing, sales and product development. She currently serves as Online Learning Consortium’s Senior Director of Business Development, focusing on growth strategies for the organization, and providing guidance to the marketing and sales teams as they bring OLC products and services to the community. Deb has served K-20 education for most of her career, in digital content, curriculum and professional development. Prior to OLC, Deb was Director of Publishing for The Center for Responsive Schools initiating the development of an innovative product line. 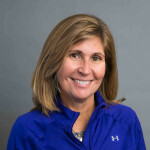 Previously Deb created new market entry plans, territory growth plans, and other strategic development initiatives as the Vice President of Marketing and Sales at Follett, School Specialty, Heinemann, and the WGBH Educational Foundation. Deb holds a B.A. in Psychology from Mt. Holyoke College. Jean Simmons has over 20 years’ experience in online marketing, product development and project management. Jean is currently the Director of Marketing for the Online Learning Consortium, focusing on the growth of a multitude of core services and product initiatives. 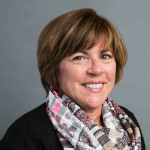 Jean previously served as Executive Marketing Director for The Kelsey Group, a strategic research and analysis leader in online directories and local media. Prior to this, Jean was Marketing Manager for Verizon’s online yellow pages team leading the successful creation and launch of today’s Superpages.com. 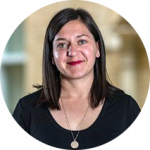 As a marketing consultant, Jean has worked on projects for Stratfor, focusing on geopolitical, economic, political and military information services, and YellowBrix, focusing on data analytics and contextual advertising. Jean holds a BS in Business Administration from Emmanuel College in Boston and an MBA in Marketing from Post University in Waterbury, CT.
Robert Pope oversees technical operations at the OLC. He directs the development of all OLC web properties, mobile apps and systems integrations. He has a degree in computer and electronic engineering technologies CEET. Jennifer Rafferty provides leadership in researching, scoping, managing, and evaluating a full range of professional development solutions for multiple audiences within the OLC Institute. She has worked for over 15 years supporting online learning initiatives in higher education and in the adult basic education system. 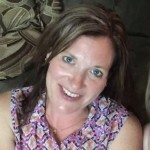 Jennifer assumed this role at OLC after working for over seven years as an instructional designer at Quinnipiac University Online in Hamden, Connecticut. 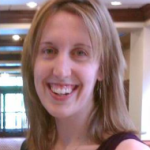 During her time at Quinnipiac University, Jennifer was also responsible for spearheading the development of the first online Spanish course at the University. She continues to teach this specialized curriculum for the School of Nursing and presents both nationally and internationally on the topic of online foreign language instruction. 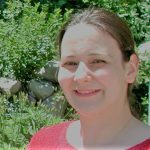 Prior to working in higher education, Jennifer was the project manager for the Massachusetts Adult Basic Education Distance Learning Project. In this role, she collaborated with the Massachusetts Department of Education and Project IDEAL to research and identify best practices for distance learning programs serving adult GED and ESL students. 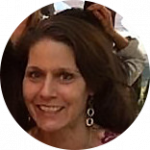 Jennifer holds a Masters of Education in Instructional Design from UMASS Boston, a Masters of Arts in Spanish from the University of Wisconsin-Madison, and an undergraduate degree in Romance Languages from Mount Holyoke College. 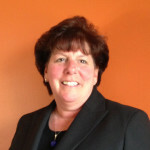 Brenda Weiss-Pesta is the Director, Sponsorship Sales for the Online Learning Consortium. 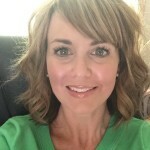 She is responsible for the relationships with new and existing sponsorship partners and building opportunities to share their products and services with valued OLC members and the OLC online learning community. 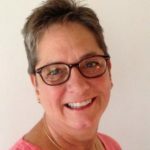 Prior to joining OLC, Brenda was a sales manager in the educational technology industry working with both higher education institutions and K-12 districts in the northeast. She has been active in her central Minnesota community as a chairperson and a volunteer on youth related projects and is a member of her local planning and zoning commission. Brenda has a Bachelor of Science degree in Business Administration from Northwestern College. Prior to joining OLC, Thomas(TJ) worked with higher education institutes and K12 Districts on the West Coast. Before his work in the Educational Space, TJ worked in the Internet/Technology world, specifically help launch Mobile Ad Platforms. TJ helped a number of Start-ups get off their feet; as well as working with a number of Fortune 500 company's continue to grow their business model and integrate mobile marketing strategies to capture this continually growing market. When not working, TJ is an avid sports fan and outdoorsman. Katie Fife Schuster is the Director, Conferences for OLC. 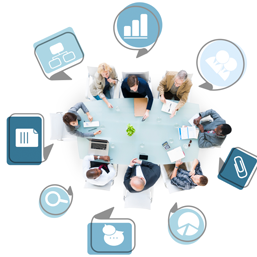 In conjunction with the Director, Conferences and the Corporate Relations Representative, Katie provides direction and leadership toward the achievement of OLC's annual conferences. Prior to her current role, she held the position of Director of Online Learning for OLC and managed the planning, development, and production activities of the workshop program. She has also been OLC's Director of Publications. She has experience from her years in the publishing industry prior to joining OLC and holds a BA from Tufts University in anthropology and Spanish. 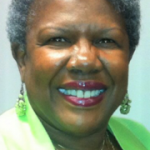 Lynette provides leadership for the OLC Research Center for Digital Learning and Leadership. Prior, she was the Director, Learning Enhancement for the Center for Learning Experimentation, Application, and Research at the University of North Texas. Lynette’s experience spans the educational pipeline from K-12 to public universities and community colleges, and in addition to her digital learning and leadership roles, she has served in a number of positions in Academic Affairs, Enrollment Management, and Educational Partnerships. She has worked extensively with public, private, corporate, and philanthropic organizations, was involved in two State of Texas Star-Award winning initiatives, and led the statewide Texas Reverse Transfer Initiative, resulting in more than 7,000 degrees awarded within the first year of the program and policy mandate. Lynette also teaches Quantitative Methods and Research Methods courses for the University of North Texas, and has a Ph.D. in Higher Education Administration, an M.S. in Educational Psychology, and a B.A. in Psychology. In her spare time, Lynette practices yoga, reads everything from YA to historical non-fiction, and is involved in her community in Denton, TX. Gail Sullivan joined the Online Learning Consortium in the fall of 2006. In her current capacity, Gail is primarily responsible for processing the registrations for membership, workshops and conferences as well as resolving issues raised by workshop participants and members. Gail has a Bachelor of Science degree from Northeastern University in Personnel and Industrial Relations and has been involved with Higher Education for approximately ten years. 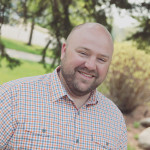 Matt Norsworthy, Ed.D. establishes relationships with institutions in order to develop strategies for improvement in their online and blended programs. 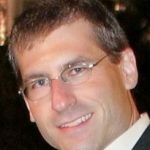 Matt provides professional development options and project development solutions for institutions of all sizes, both public and private, domestically and internationally. Dr. Norsworthy has been designing, developing, and teaching English and Humanities courses for over fifteen years. 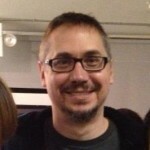 He has a Masters of Fine Arts (MFA) in Creative Writing from National University and a Masters of Liberal Studies in English from Fort Hays State University. In addition, he holds a Doctorate of Education in Higher Education and Organizational Change from Benedictine University where he wrote his dissertation on “A Comparison of the Experiences of Online and Face-to-Face Doctoral Students in the Humanities”. Laurie provides professional consulting services to OLC as a Conference Support Manager in connection with OLC’s Conferences. As the Conference Support Manager she works closely with the OLC conference team and provides operational support specifically in regard to conference customer service and management of exhibitors and sponsors. Laurie graduated from Colorado State University with a Bachelor of Science in Business Administration. 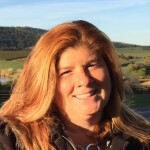 Denise Musto joined Online Learning Consortium in March of 2015. As the Executive Assistant to the Chief Executive Officer, Denise’s primary responsibility is to support Kathleen Ives, as well as the Executive Team. Denise contributes to other areas of the organization when necessary, including customer service and conferences. She comes to us with a solid background in the education arena, including work experience of 15 years in the New Hampshire public school system. Zeren Eder, along with producing workshops for OLC, teaches online classes at University of Phoenix and in seat courses at the Orlando branch of Colombia College. She completed her education in Turkey where is originally from. She has an AA degree in Tourism Hotel management, BA in Education with emphasis on English, MA in Linguistics and holds ABD status in English Literature. As Account Manager, Betsy works to promote OLC's products and services, helping our existing members get the most use from their membership and work with potential members to highlight how OLC can benefit their organization and professional advancement. Prior to joining OLC Betsy was a sales manager in the educational technology industry working with both higher education institutions and K12 districts in the Southeast. She has more than ten years experience working in Customer Support and Sales in the Education, Healthcare, and Retail arenas. Betsy has a Bachelor of Science degree in Mass Communications and Minors in Business Administration and Marketing. As Marketing Manager, Amy is responsible for marketing promotions and related duties for customer acquisition and lead generation for the full range of products and services offered by OLC. Her role includes writing and developing all print and electronic marketing collateral, as well as supporting materials for event and conference activities. 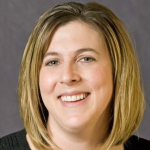 Prior to joining OLC, Amy was a marketing specialist in the educational technology industry working with both higher education institutions and K12 districts. She has more than fifteen years experience working in both corporate marketing and advertising agency roles. Amy has a Bachelor of Arts degree in Communications and a Minor in Management. Elisabeth Stucklen has worked in online higher education and instructional design for over 12 years. Prior to joining OLC, she worked as the senior instructional designer at Mount Washington College in Manchester, NH, where she was responsible for creating new online courses, providing training and support for faculty, and assisting the director in monitoring the course development process. Before MWC, she worked at Lesley University providing professional development and course design assistance to faculty. 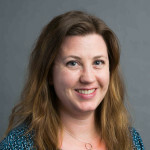 In addition to her role with the OLC, Elisabeth also teaches online for Brandeis University in their Masters in Online Instructional Design program. 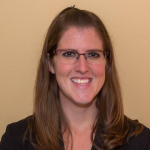 Kaitlin Garrett is an instructional designer with OLC and she is responsible for supporting the Advanced Online Teaching Certificate program. 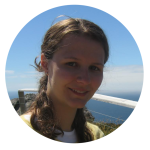 She has worked in higher education for 7 years with a focus on learning management systems and distance education. As Digital Marketing Specialist, Patricia has primary responsibility for the technical and analytical aspects of all marketing initiatives, and supports the marketing team by collaborating on website design and development, graphic design, tracking and analytics, and design/development of marketing and sales collateral. Prior to joining OLC, Patricia worked as a freelance designer and developer where she developed and managed a variety of eCommerce websites. Patricia holds a Master of Science in Technical Communication and Information Design from the Illinois Institute of Technology. Suzie Reed joined Online Learning Consortium in a part-time bookkeeping capacity and eventually became a full-time member of the Finance team as a Financial Analyst. Her responsibilities include day-to-day bookkeeping, payroll, reporting, and analysis. Suzie has a Bachelor of Science Degree in Finance from Salem State University. Clarise began working with the Online Learning Consortium in the fall of 2016. You’ll find her in many places where customers connect with OLC, most notably in the chat room, adding a personal touch to virtual communications. Clarise is always happy to help, whether guiding customers through a registration process, answering questions, or resolving concerns quickly. Previously Clarise spent 20 years in customer-facing roles in the hospitality industry, working for an airline company in reservations and in their private club. She’s also served as an assistant librarian and an office manager. Clarise has a Bachelor of Science degree in Business Administration from Emmanuel College.